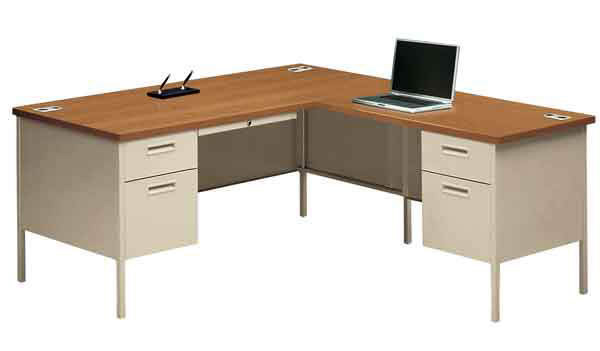 Metro Classic sets the standard for high-quality, high-value office furniture. They’re strong, sturdy, and stylish. A classic design for the pragmatic office dweller. Crisp, rectangular styling is appealing to the eye. Featuring superb wire management, Metro Classic’s attractive laminate tops are easy to maintain. Standard Desks feature 19" deep high-sided file drawer, desktop grommets for wire management, and central locking drawer system. 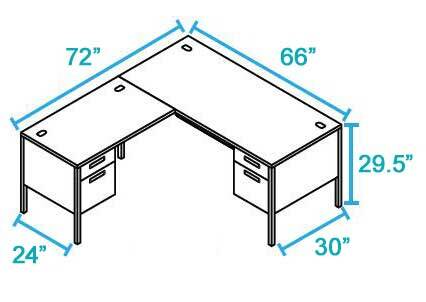 Add an optional keyboard tray (#83030) to L shaped desks for additional capability.